(HARLINGEN) – She was only 26-years-old when she came to Texas State Technical College as a counselor in Student Services. Now 30 years later, Liz Silva is closing this career chapter in her life to become Dr. Liz Silva. 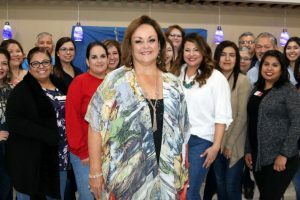 Silva retired last month from TSTC and her dedication and service to the college was celebrated this week with her colleagues and many of her past students. With the death of her father at 14, and her mother at 19, Silva was raised by her siblings. By this time they had careers and had completed undergrad and graduate degrees. Silva followed in their footsteps and earned a bachelor’s degree from Pan American University in 1984 in psychology and a master’s in 1987 in guidance and counseling from the University of Texas-Pan American. She is now working on a doctorate degree in educational leadership at the University of Texas Rio Grande Valley. Within the next year Silva will earn her doctoral degree and said this is what sparked her decision to retire. Silva said the decision to retire was not considered lightly. 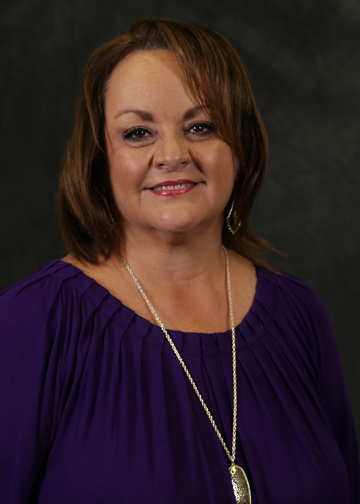 She has enjoyed being a part of the TSTC family and making a difference in students’ lives. And although she climbed the ladder at TSTC from counselor, director of Student Life, director of Counseling, director of Support Services to her latest role as executive director of Student Support Services, Silva said her heart has always taken her back to counseling. She said she has always made it a point to interact with students outside of an office setting because that’s how she is able to earn their trust and confidence to seek her when they have an issue. Silva discovered this by not only serving as the TSTC Student Government Association advisor for most of her career, but also with the help of her mentors and former TSTC employees Cathy Maples, Roy Cavazos and Servando Villarreal, who all served as either directors or vice presidents during their tenure at the college. The highlights of Silva’s career were exposing students to new experiences whether through student leadership on campus or through out-of-town conferences, and every commencement ceremony where she would see her students cross the finish line at TSTC. Veronica Sanchez, a 2009 graduate from TSTC’s Dental Hygiene program, worked closely with Silva during her time as Student Government Association president and said that it was Silva’s positive influence that gave her the confidence she needed. Thirty years is a long time and while she will miss her colleagues, Silva said she will miss the students the most, and not so much the impact she made on them, but the impact they made on her. Silva hopes that once she completes her doctoral degree she can return to working in higher education, but this time in a classroom setting as a professor in her field to continue making a difference and inspiring students’ lives.